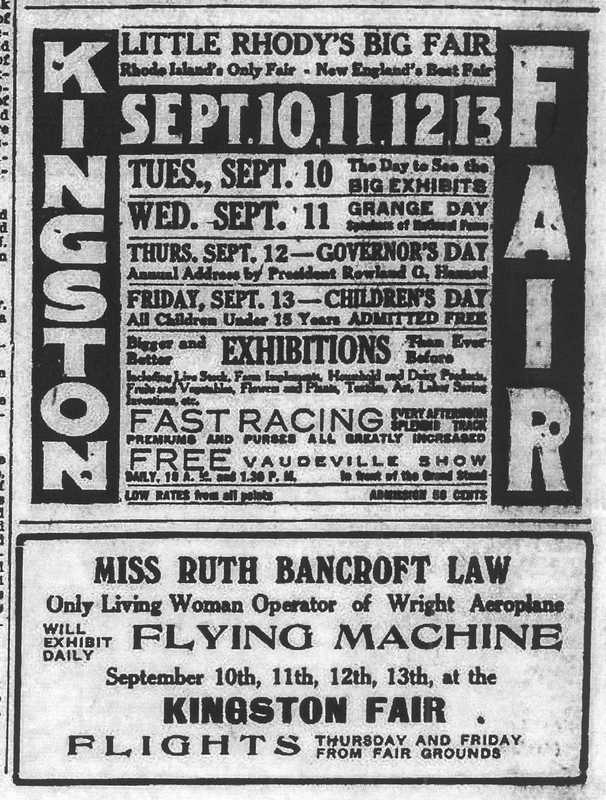 The fair featured Massachusetts aviator Ruth Bancroft Law, (1887- 1970), licensed pilot #188 by the Aero Club of America. 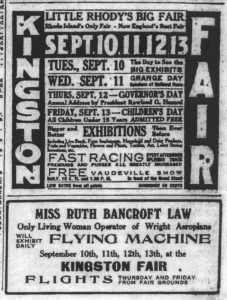 At the time of this exhibition, Miss Law was a newly licensed pilot, having soloed just the month before. Miss Law achieved fame on November 19, 1916, when she successfully flew non-stop from Chicago to Hornell, New York, a distance of 590 miles, and thereby set a new aviation long-distance record. The flight took eight hours and 55 minutes. The previous long-distance record had been set only 16 days earlier when Victor Carlstrom flew 453 miles from Chicago to Erie, Pennsylvania. 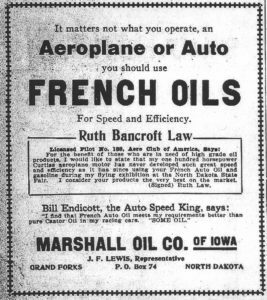 In 1913, Miss Law announced her plans to attempt a trans-Atlantic crossing from Newfoundland to the Irish coast, and planned to bring her brother along on the flight. The flight was planned for July of that year, but it didn’t take place. Much has been written about Miss Law and her career that can be found on other websites. The Citizen, (Berea, Ky.) “Long-Distance Mark Broken”, November 23, 1916, pg. 8. Grand Forks Herald, (No. Dak.) 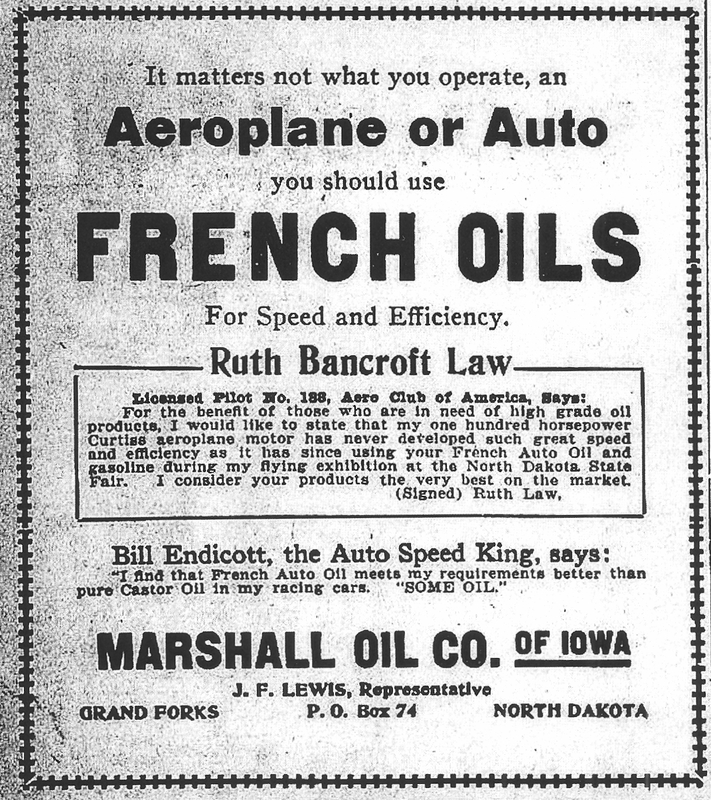 French Oils advertisement featuring Ruth Bancroft Law, July 20, 1917.